The latest Bollywood baby doll Sunny Leone stated at a press conference held recently that she has three adult comedy movies for release in 2016 and the New Year 2016 will be the year of comedy movies in Bollywood. "I think that 2016 is going to be the year of adult comedies. We have three films coming back-to-back and I think these movies are going to set a standard of comedy," said Leone. Kya Kool Hain Hum 3, Mastizaade and Great Grand Masti are the films in pipeline for her. Recently her husband Daniel Weber was admitted in hospital due to tonsillitis. 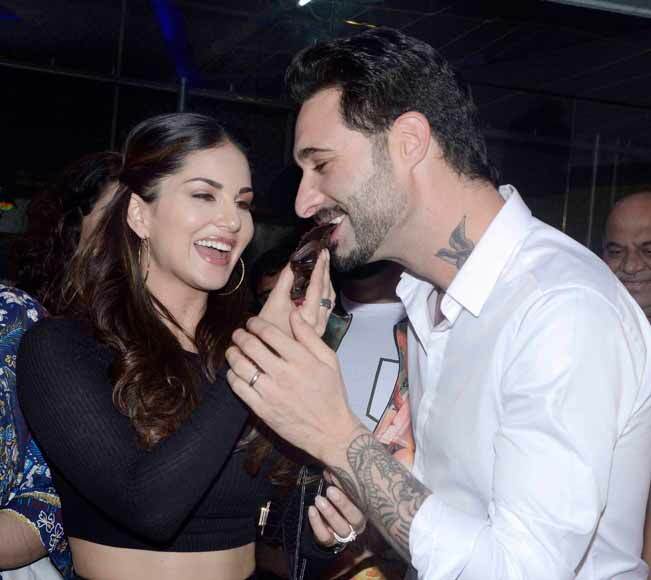 Sunny and her husband Daniel Weber are described as the hottest couple of B Town and according to Daniel’s health she said, "We took him to the hospital after his pain aggravated. The doctors immediately did a few tests and started his medication. He is much better now and should be discharged soon."